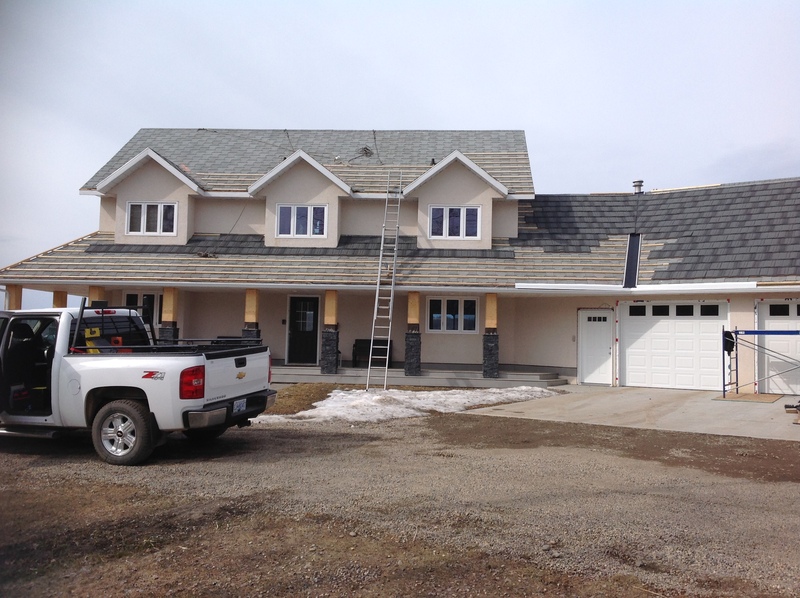 DM Henderson Roofing is committed to providing quality services to our valued customers. 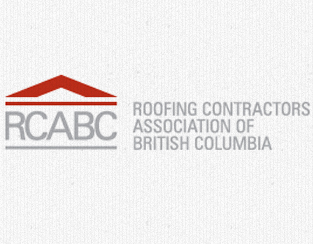 We are a full-service firm that specializes in three areas: roofing, waterproofing, and sheet metal fabrication. SBS modified bitumen roofing systems incorporate a technology which yields exceptional flexibility and strength, even in extremely low temperatures. It is highly resistant to even the most severe weather conditions such as the weather we see in the Peace Country. 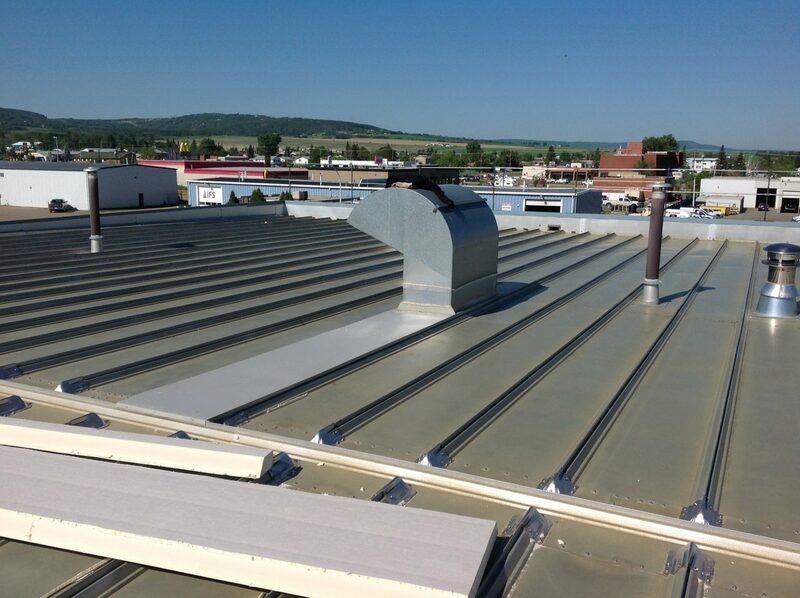 At DM Henderson Roofing, we install two different types of single-ply roofs, EPDM, and TPO. Metal roofing makes a long-lasting, versatile and decorative impression on your home or business. No one knows the ins and outs of metal roofing and custom metal fabrication like DM Henderson Roofing. 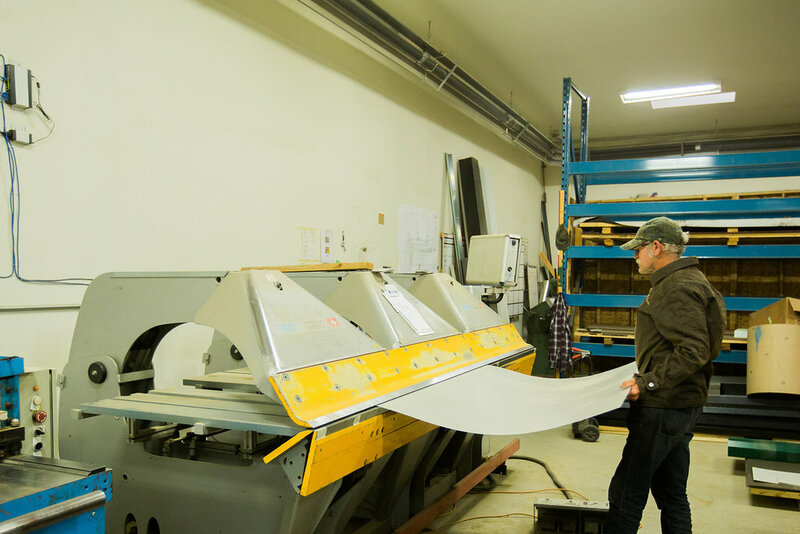 We use state-of-the-art roll forming machines to fabricate metal roof panels (with no exposed fasteners) to exact specifications, right on the job-site. This means we can typically have material ready to go in less than a week. DM Henderson has been installing standing seam metal roof systems for over 35 years. We have the equipment and skilled technicians to provide you with a standing seam metal roof of the highest quality. 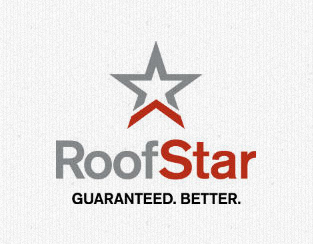 DECRA is the original stone coated metal tile roof system. This system has interlocking panels which makes them exceptionally strong, allowing them to withstand winds up to 275 km/h. These roof panels won’t split, curl, crack, warp or absorb water, making it great for areas with extreme climates found in the North. The tile`s stone coated feature is UV ray reflective and 50% lighter than most traditional asphalt or built-up roofing. Best of all, with DECRA, there is little to no maintenance needed. As land continues to be replaced with impermeable surfaces due to population growth, the necessity to recover green space is becoming a critical factor in the fight to improve our environment. Green roofs provide numerous environmental, economic, and social benefits. 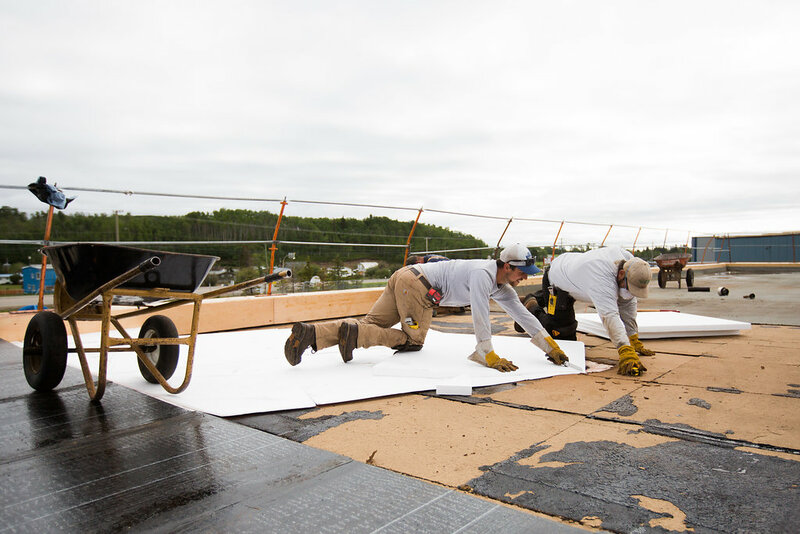 At DM Henderson Roofing, we specialize in the installation of modified bituminous sheet (S.B.S) membranes ensuring your green roofing project is done correctly from the start. Please contact our experts for more information on the benefits or options available for green roofs. At DM Henderson, we fabricate custom sheet metal flashing for our customers. We employ an experienced team of fabricators that oversee every project from start to finish. 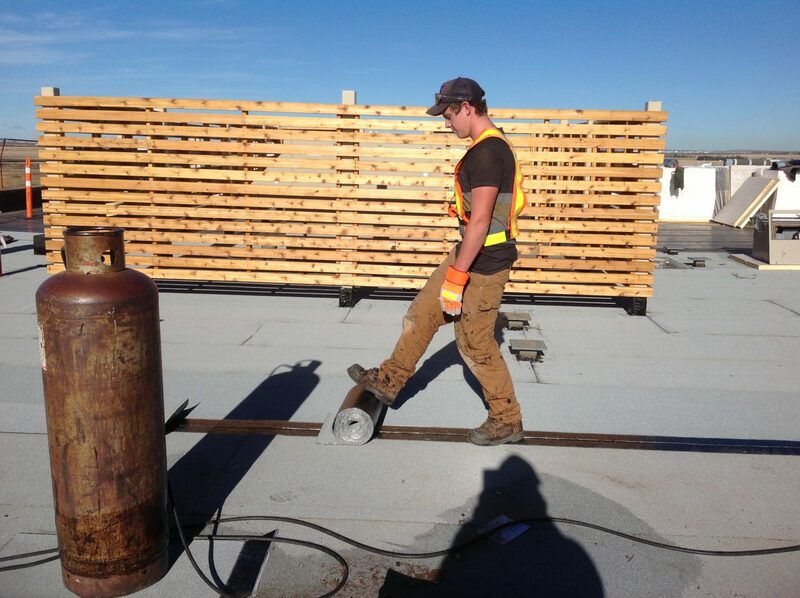 DM Henderson Roofing specializes in commercial waterproofing applications for bridges and parkades. 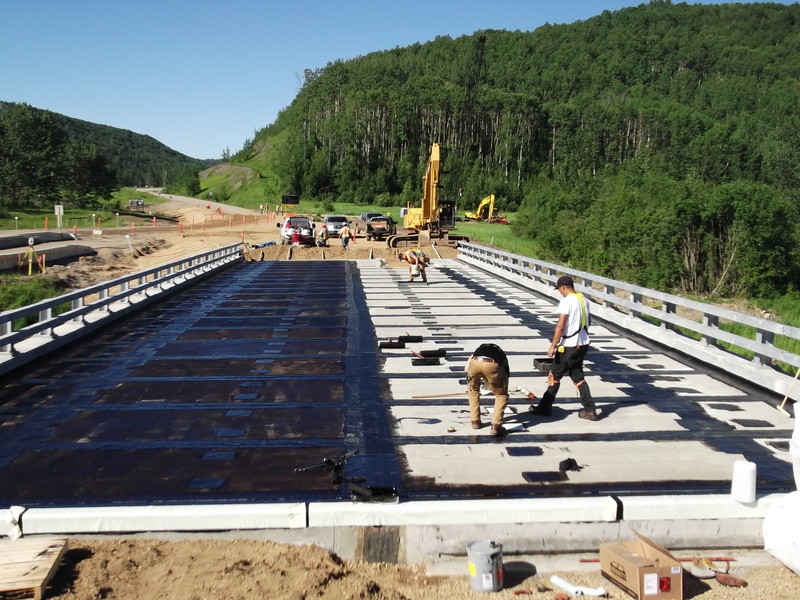 We utilize prefabricated SBS membrane to protect structures from costly damage caused by the water infiltration. CLICK THE BUTTON BELOW TO FILL OUT A QUOTE OR REPAIR REQUEST!